This classic Maui inspired line of frames provides effortless fashion that moves easily from the boardwalk to the boardroom. Maui Jim has been changing how people see the world since 1980, when they started selling their first seven styles of sunglasses on Ka’anapali beach in Lahaina, Maui. With over 125 styles now available there is truly a look for every style. Here are the 21 we love the most. These elegant semi-rimless frames feature stunning shades of stainless steel flat metal or woodgrain to create a look that is both timeless and classic. These round glasses are anything but basic. Crafted from either fine woodgrain or sleek stainless steel these unique frames add panache to any outfit. These acetate frames come in rich neutrals with a pop of colour, sleek classic black, or a elegant tortoiseshell. These timeless frames perfectly combine a classic shape with modern palettes. These round acetate frames combine a classic shape with understated palettes, creating a truly unique product that is never out of style. Though these rectangular frames come in a variety of neutral colours including glossy black, dark tortoise, crystal, khaki, and amber they are anything but basic. These understated frames celebrate your unique style without trying to upstage your outfit. These round acetate frames, available in a variety of two-tone neutral pallets, add unique depth and sophistication to any wardrobe. These frames, part of the specialty metals collection, combine classic acetate frames with stunning textured metal details on the arms and frame edges. The rich beach inspired pallets combined with these unique metal accents to create a unique frame that is sure to elevate any outfit. These rectangular frames, part of the specialty metals collection, combine rich acetate front pieces with sleek metal arms, creating a truly unique look. Whether you are heading to the beach or the office these frames will complement any style. These round frames, part of the specialty metals collection, balance a bold acetate face with sleek metal arms and a thin metal bridge to create a unique look. Available in an ocean-inspired neutral pallet these frames offer a modern twist on a timeless look. These subtle and understated rimless glasses feature sleek metal arms in glossy black, gunmetal, blue, and copper. These frames help you make a minimalist and effortless fashion statement wherever you are. These classic frames are made of thin injected nylon, creating a frame that is both lightweight and flexible. Available in a wide variety of ocean-inspired colours these frames are sure to make a statement. These round acetate and metal horn-rimmed frames prove that you don’t need to be flashy to make a statement. Available in a variety of colours one style features a clear and charcoal gradient that puts a modern twist on the classic hornrimmed style. These delicate pearlescent frames are made of smooth stainless steel. Available in a variety of beach-inspired colours, including a rich dark blue and a pearly pink these frames will help you embrace your inner mermaid. These beautiful acetate frames feature a tortoiseshell bridge and arms paired with an eye-popping palette of solid colours. From delicate lilac to sassy raspberry to mysterious dark blue these frames are sure to turn heads. These acetate frames feature a subtle two-toned cat eye. These frames offer a modern take on a classic shape. The little pop of colour that accents each frame gives these frames a fun, effortless feel that is sure to elevate any outfit. These elegant acetate frames combine the beautiful depth and texture of tortoiseshell with a subtle pop of colour. Make a bold statement with cherry and tortoiseshell or celebrate the unique beauty of the ocean with a mottled turquoise. These heavy frames, available in a wide variety of beach-inspired colours, are sure to turn heads. The soft neutrals pair perfectly with the heavier frames to create a unique look that is both subtle and powerful. These round acetate frames are available in a variety of neutral colours including black and crystal, crystal and pink spear, and a lovely olive tortoiseshell. Celebrate your classic and elegant sense of style with these unique and understated frames. These two-toned frames feature a beautiful accent portion on the frame corners and arms, creating a truly unique style. The tortoiseshell options pair nicely with the rich colour pallet, creating bold frames that are both colourful and versatile. These beautiful frames, part of the specialty metals collection, feature a solid acetate front piece paired with smooth stainless steel arms. Available in three breathtaking colours (raspberry, pink, and crystal pink) these frames are deliciously feminine. 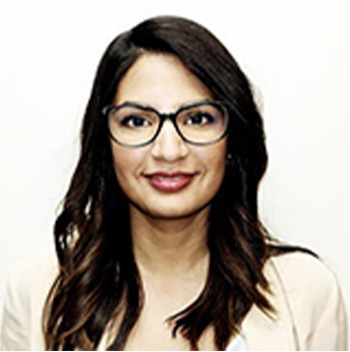 Born and raised in Edmonton, Dr. Sonia Delhon has co-owned Visionary Eye Centre since 2011, also acting as an in-house optometrist. Her education began at Concordia University, graduating with a Bachelor of Sciences degree. She was then accepted to the New England College of Optometry in Boston, MA, and upon graduating, went on to internships working in a veteran’s hospital in Connecticut and a term specialized in ophthalmology in Boston. Dr. Delhon enjoys travelling recreationally, reading a great book, and playing badminton competitively. Like her colleague, Dr. Sonia Delhon is fluent in English, Punjabi, and Hindi.